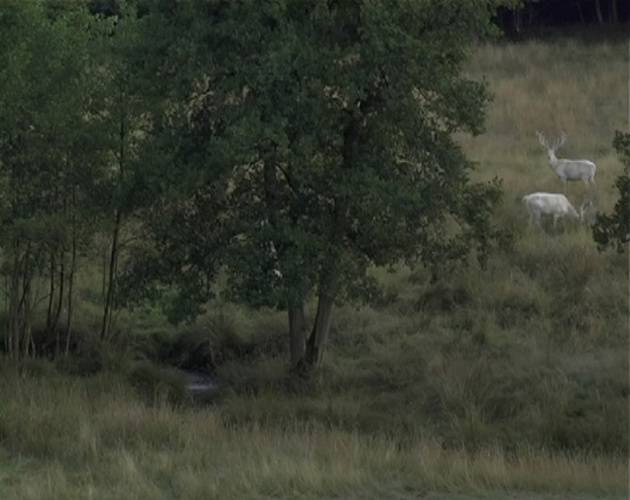 Continuing with an exploration of the phenomenology of nature and temporality, this video presents a family of white stags filmed in Germany. These rare animals hold a place in the mythologies of many cultures, in particular Celtic mythology where they were seen as messengers from the underworld. A fixed camera position is selected, borrowing from the visual language of photography but maintaining a painterly quality.